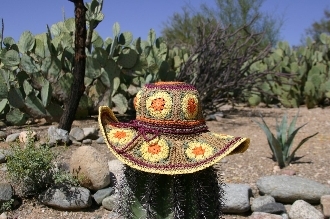 4.5 inch wired brim that is shapable for many different looks. One size with adjustable tie cord on the outside, and soft cotton sweatband on the inside. Made from crocheted paper straw.